Unlike a general urology program, Tallwood physicians are fellowship trained sub-specialists, so you get the best of the best. You get access to doctors who sub-specialize in your particular urology or kidney problems, and you have a complete care team that works together across any disciplines you need. The interdisciplinary team approach to patient care at the Tallwood Institute sets us apart from other urology and kidney care services in the area. 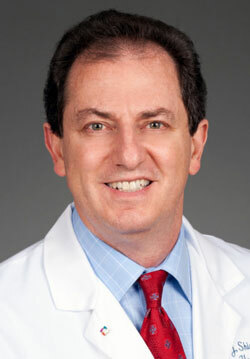 A board-certified urologist, Dr. Shichman specializes in robotic surgery, renal cancer and adrenal disorders. Following his education and work experience as a chemical engineer, Dr. Shichman earned his medical degree from the University of Connecticut School of Medicine in 1986. He completed his General Surgery and Urology training at the University of Connecticut as well. He also completed a fellowship in Laparoscopy and Minimally Invasive Surgery at New York Hospital and Cornell Medical Center. 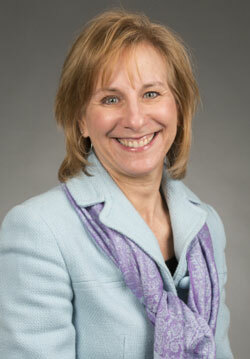 Dr. Shichman serves as an associate clinical professor at the UConn School of Medicine. Dr. Shichman has helped develop the Hartford Hospital’s Department of Urology’s nationally and internationally recognized reputation for innovation in laparoscopic and robotic surgery. His department has hosted numerous post-graduate courses in minimally invasive surgery, including national symposiums on robotic urologic surgery. Dr. Shichman is also the Executive Director of Hartford Hospital’s Center for Education, Simulation and Innovation – “CESI”. CESI is one of the country’s largest and most comprehensive medical simulation training centers. Dr. Shichman has been affiliated with Hartford Hospital (and subsequently Hartford HealthCare) since 1993. He sees patients at Hartford Hospital as well as Hartford HealthCare Medical Group (HHC MG) offices in Hartford and Avon. In her role as VP, Ms. Ruderman partners with physician leaders to identify and address opportunities to improve the quality of care provided to Tallwood patients. She does this by co-leading disease management teams, which focus on the delivery of evidence-based medicine, patient education, community education and process improvement. She has been with Hartford HealthCare since 1997, in a variety of leadership roles in operations and quality/process improvement. They include director of rehabilitation for HHC at Home, vice president of quality for the Rehabilitation Network and business architect for the design of the Institute Model that is being deployed throughout the system. Jan has a master's degree in business administration, with a focus on healthcare, and a bachelor's degree from Tufts University. She is also trained in Lean management.